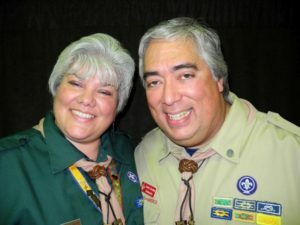 We are registered merit badge counselors with the Last Frontier Council of the Boy Scouts of America. The Archery Merit Badge is available to Boy Scouts between the ages of 10-17 who are members of an active BSA Troop. Interested scouts should obtain approval from their Scoutmaster, and then contact us for more information at GoodwinArcheryCoach@gmail.com. 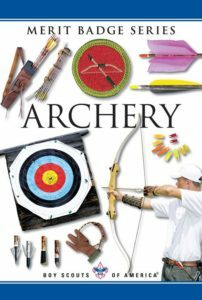 Goodwin Archery can provide instruction, practice sites, archery equipment, and supplies for arrow and string-making. Scouts are responsible for obtaining a copy of the merit badge manual, and must obtain a “blue card” checklist from their Scoutmaster or Advancement Chair. 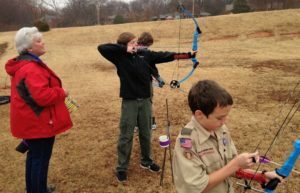 Requirements for the Archery Merit Badge can be found at this BSA website.